Large enough to handle any risk anywhere in the country, but small enough to give you the personalized service you deserve! With great pride we invite you to take a closer look at our agency and see why our company is unlike any other. As an AAA Independent Agent we are building upon a philosophy of integrity, a 100 year heritage of reliable, trustworthy service with an internal vision to become the leading Personal Lines & Commercial Lines insurance representative in North & South Carolina and the go-to agency for the hospitality industry country-wide! The Mielak Group is a family owned and operated independent insurance agency. Unlike many agencies who's loyalty is tied to one company, we represent over fifty industry-leading companies. Each company is unique in their own way it is our job to find the most comprehensive solutions to best match our clients' specific insurance needs. We value each and every one of our clients as they are the foundation of our success. 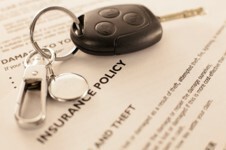 Our clients are not just a policy number to us and we are not just their insurance agents. We are their personal consultants and value-hunters and we work with them as their needs change. And if a claim arises, we are their advocates! And since we know claims can happen day or night, we are available 24 hours a day! Our goal is simple at AAA Insurance - The Mielak Group - To build and maintain long lasting insurance relationships with our clients, exceed their expectations and give them the best insurance experience possible.